The Third Man Factor tells the revealing story behind an extraordinary idea: that people at the very edge of death, often adventurers or explorers, experience a benevolent presence beside them who encourages them to make one final effort to survive. If only a handful of people had ever experienced the Third Man, it might be dismissed as an unusual delusion but over the years the experience has occurred again and again: to mountaineers, divers, polar explorers, prisoners of war, solo sailors, aviators, astronauts and 9/11 survivors. All have escaped traumatic events only to tell strikingly similar stories of having experienced the close presence of a helper or guardian. 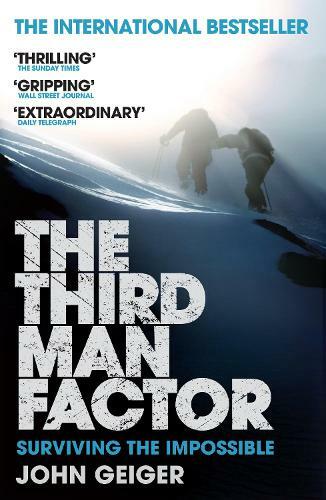 In The Third Man Factor John Geiger combines history, scientific analysis and great adventure stories to explain this secret to survival, the Third Man who - in the words of legendary Italian climber Reinhold Messner - 'leads you out of the impossible'.